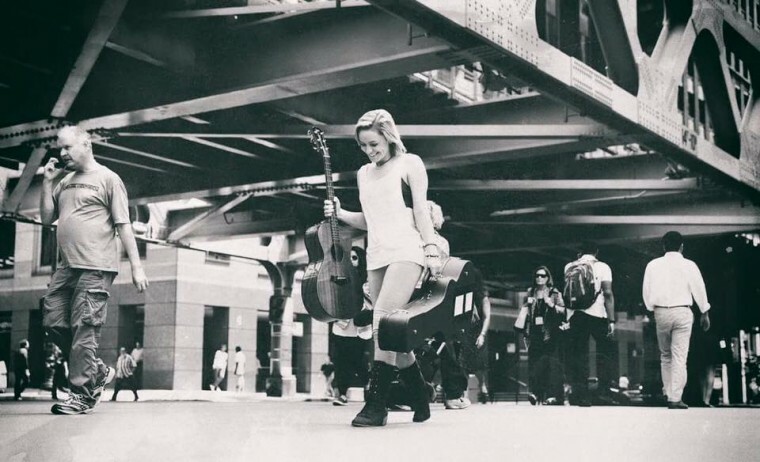 Beth McCarthy is the 19-year-old British singer/songwriter, storyteller and former street musician who will play her debut show in America on Chicago’s JBTV on Friday, October 7, presented by disruptive furniture brand, Muzo. Back in 2014 she stole the hearts of millions of viewers on UK TV show The Voice and since, with mentoring and advice from Ricky Wilson of world-renowned UK rock act, Kaiser Chiefs, she has played hundreds of shows in gritty, authentic music venues and festivals around Europe. Beth comments on her experiences: “I went for The Voice with no expectations and came out with instant TV success. It was an incredible experience, but at 16 my main priority was to work hard on my writing and to stay grounded. Whilst on her travels, Beth was spotted busking in Belgium by international pop art photographer Steven Thoelen. Seeing her star-potential, Steven flew Beth out to the USA, arranged a showcase in Chicago and introduced her to his US management. A flood of offers followed and now with nominations for a number of songwriting awards, live TV appearances on US Cable Music Show JBTV, dates in the diary including SXSW, shows in LA, Tokyo and Taichung and an album recorded by top London producers to be released in 2017, the Beth McCarthy story is set to explode. Check out Beth’s recent live performance of ‘All I’ve Known’ from London’s Dean Street Studios.